Our Club meetings provide a great way to learn more about Bromeliads and have fun doing it. You'll see a great presentation about some aspect of Bromeliads, and our Show and Tell features member's plants, often in bloom. And you will meet lots of folks who can share their knowledge about growing tips and help in other ways. Our Club is a member of the Bromeliad Society International. Joining BSI gives you lots of benefits including the quarterly Bromeliad Journal. Older Journals are archived for members. But the website also has lots of wonderful information for free. The Bromeliad Cultivar Register (BCR) is compiled and maintained by the Bromeliad Society International (BSI). This is the International Cultivar Registration Authority for Bromeliads. This site has pictures and information about almost all registered cultivars and hybrids. The Florida Council of Bromeliad Societies has an enormous amount of information, and photographs of most species and hybrids. Brom-L, the Bromeliad Taxonomists and Growers Society, is another great site. Among other things, it has keys to various Bromeliad genera, and maintains a Taxon List of all Bromeliad species. Books and Publications. The BSI has an extensive list. Some of them are available for sale at BSI. 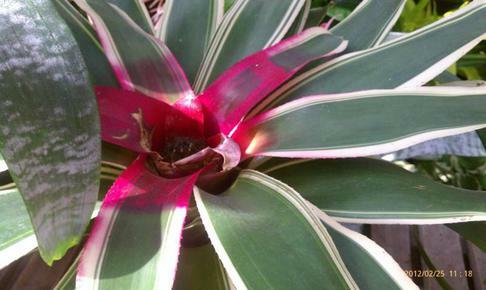 Where can you learn more about Bromeliads?